This Bone and Muscle Quiz is based upon the PE How to Remember Muscles and Bones products. It can be used as a way to assess student understanding as a pre-test, final assessment, or even given out as homework! 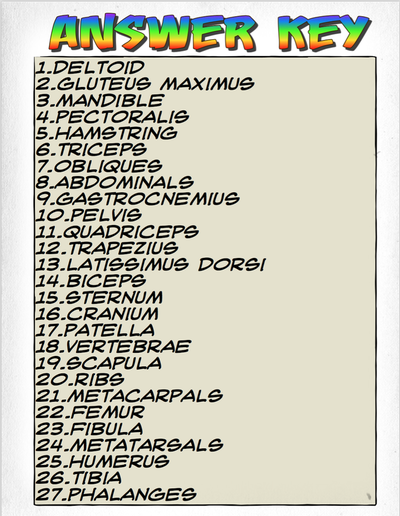 There are 27 picture-based questions that include the focus on 15 Bones and 12 Muscles with an Answer Key.